From its modest beginning as a regional claims administrator founded in 1969, Sedgwick has evolved into a leading global provider of technology-enabled risk, benefits and integrated business solutions—one which has proudly called Memphis the home of its headquarters since 1998. The company’s 21,000 colleagues, located in 65 countries, offer services designed to anticipate and keep pace with the evolving needs of its clients and consumers. The goal of each of those colleagues is to deliver quality service in areas such as workers’ compensation, liability, property, disability and absence management. And they go far beyond just managing claims—Sedgwick aims to simplify the process and reduce complexity, making it easy and effective for everyone involved. Through innovative product development, organic business development and strategic acquisitions, Sedgwick’s offerings continue to evolve beyond claims processing to meet the current and future obligations of each client. Millions of people and organizations count on Sedgwick each year to take care of their needs when faced with an unfamiliar situation. Whether they have a workplace injury, suffer a loss from a catastrophic event, need time away for the birth of a child, or are involved in an accident, they count on Sedgwick for compassionate care and expert guidance to make things right. Leveraging its proven experience working with the world’s leading organizations, Sedgwick continues to adapt its offerings to help manage the wide array of issues facing its clients today. The company’s comprehensive business solutions focus on mitigating and reducing risks and losses, keeping employees and organizations healthy and productive, protecting brand reputations, and containing costs which can impact the bottom line. Memphis has been home to Sedgwick’s headquarters since 1998. At Sedgwick, taking care of people and organizations, from public and private employers to insurers and their policyholders, is at the heart of everything the company does. Sedgwick is widely known as a business where caring counts. More than just a tagline, that sentiment is ingrained into the corporate culture. The company takes great pride in providing the services and expertise clients are looking for, wherever they are, whenever they are needed the most. When people contact Sedgwick, they may be facing an unsettling and stressful event. The company’s colleagues are responsible for providing much-needed support and assistance. In turn, the company’s leadership believes it is equally important to do the same for each employee. At Sedgwick, caring counts means supporting clients, consumers and colleagues with that same level of compassion. 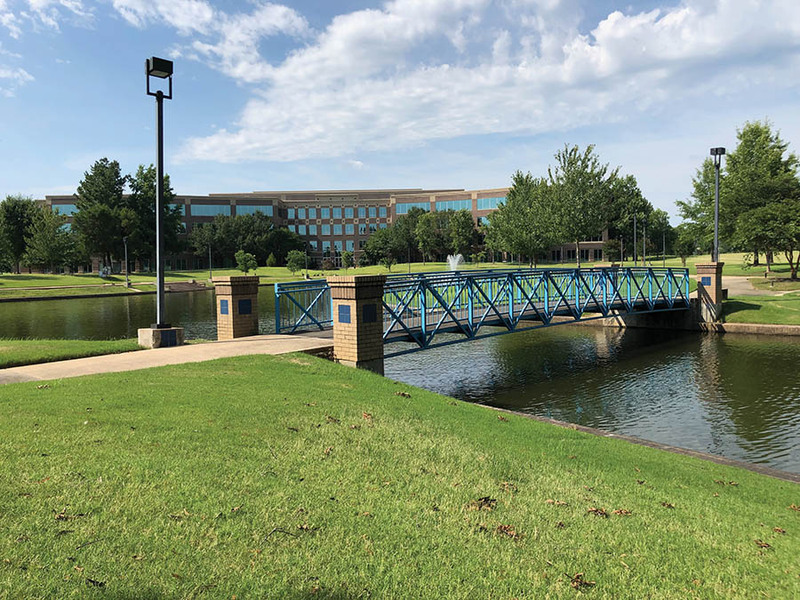 Celebrating its 50th anniversary in 2019, Sedgwick is optimistic about the future as it opens the doors of a new state-of-the-art headquarters facility. There, Sedgwick will consolidate its Memphis operations as it becomes home to an estimated 900 colleagues, with capacity to expand. The new Memphis headquarters will offer such amenities as outdoor meeting spaces, a walking path, a café, a learning center, a fitness space, technology-enabled collaboration spaces, relaxation rooms, a social hub, a library and a spiritual wellness room for reflection. Sedgwick’s investment in this new workspace underscores its commitment to its core values, caring counts philosophy, diversity and inclusion and corporate responsibility. The company knows that, as the demographics of the workforce shift, it must adapt its practices to accommodate and support differences for those it serves, finding ways to personalize their experience and meet their unique needs. As Sedgwick looks to the future, its leadership and colleagues know all must be open to change and the demands of an innovative culture. Sedgwick will continue to invest in attracting, training, and preparing the next generation. Colleagues appreciate the individualized development the company brings to qualified newcomers in the industry, as well as the advanced opportunities provided to seasoned professionals. Regardless of the industry or sector they are serving, Sedgwick colleagues look to their leaders for inspiration and support. 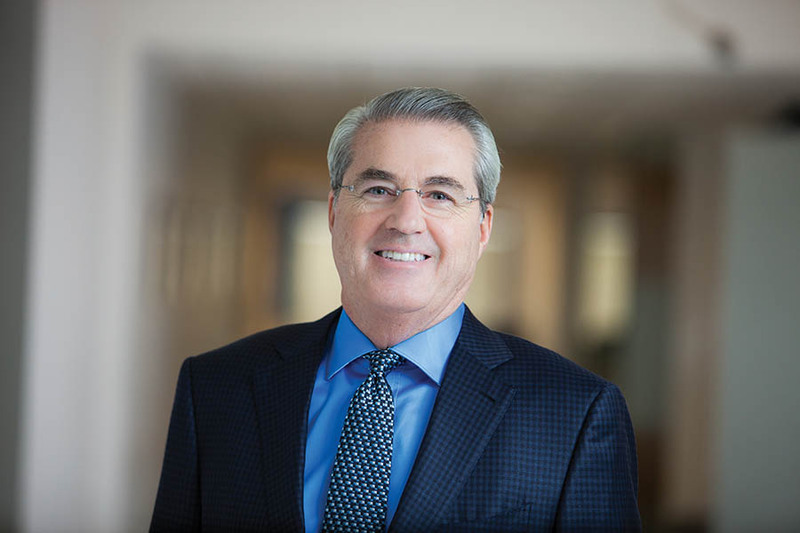 In Dave North, Sedgwick’s president and CEO, they find both. North’s path to becoming an influential voice in the claims industry was sealed in 1995, when he became Sedgwick’s chief executive officer. At the time, the organization had fewer than 500 colleagues and $50 million in revenues. Today, Sedgwick has become the leader in its industry, with influence across the country and around the world. North’s 35 years of experience in risk management services have been highlighted by numerous awards. In 2016, he was honored by EY with its Entrepreneur of the Year Award for the Southeast U.S. Region. The following year, Business Insurance recognized North in its 50th Anniversary Edition, celebrating him as one of the most influential individuals in the industry in the last half-century. In 2018, he received the CLM Lifetime Achievement Award for his profound impact on the claims profession. North remains active in the Memphis community. In 2016, Tennessee Governor Bill Haslam appointed him to the University of Memphis’ newly chartered Board of Trustees. Additionally, North has served and continues to serve on numerous industry boards. Sedgwick is well known for its commitment to caring for the communities in which its colleagues and clients live and work. The company partners with and contributes to organizations that provide sustainable solutions for the social, health and educational needs of its surroundings. That includes assistance through a combination of volunteering, sharing of expertise, and monetary support. Sedgwick is proud to call Memphis home. Whether through social and community development, health and wellness or education initiatives, Sedgwick continues to roll up its sleeves every day to make a difference in people’s lives—here in Memphis and around the world.